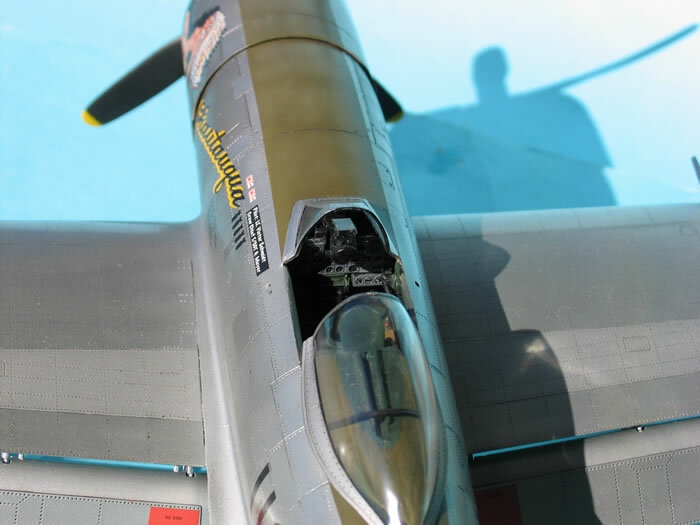 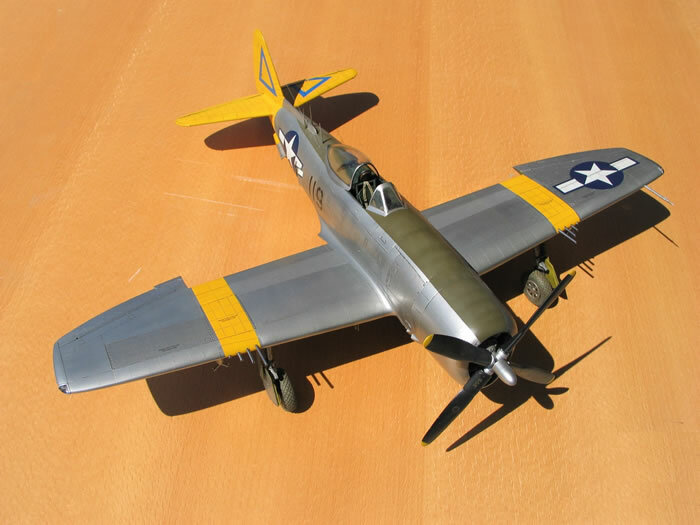 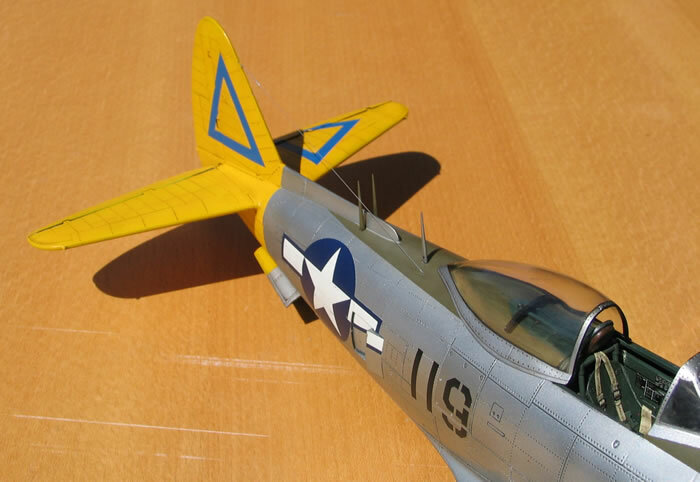 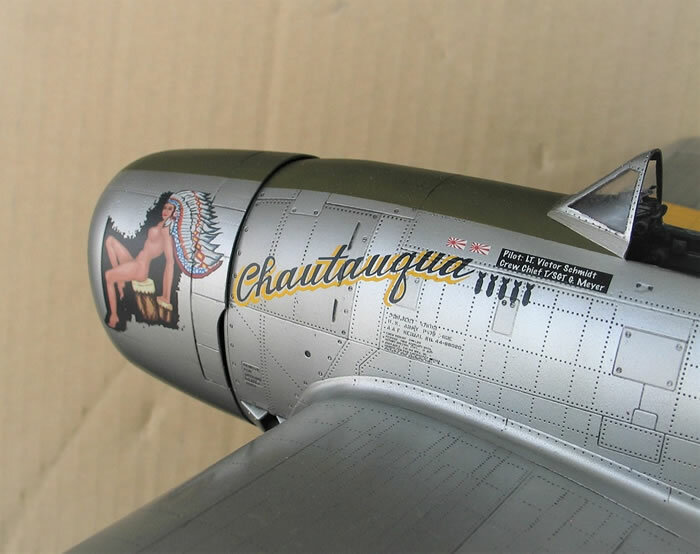 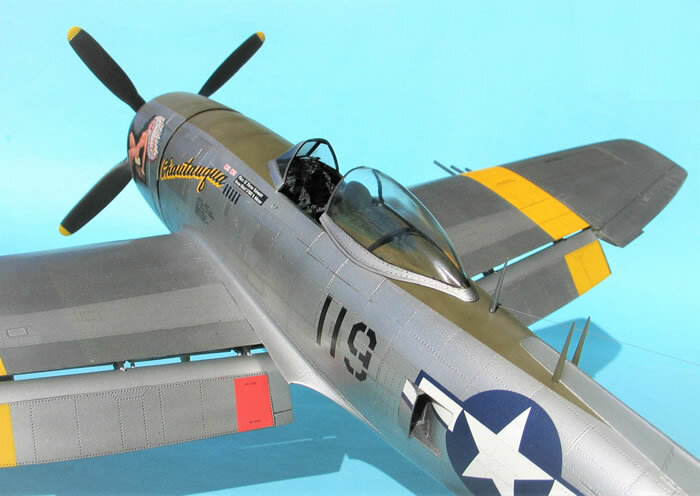 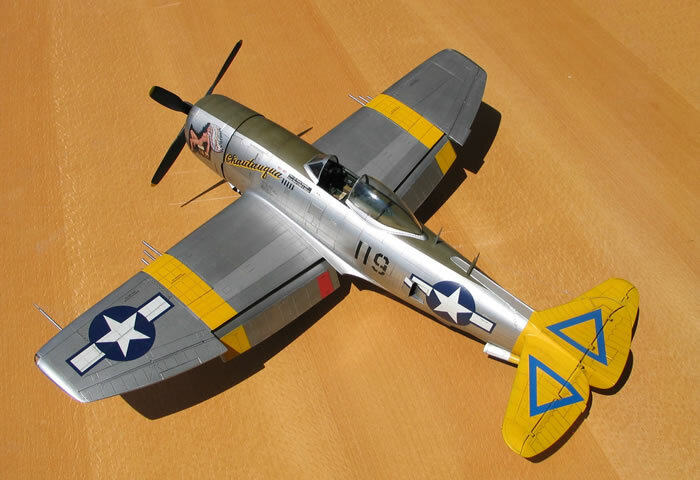 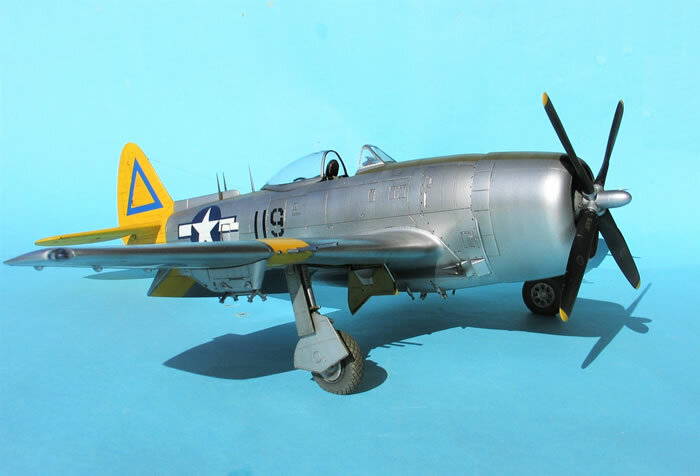 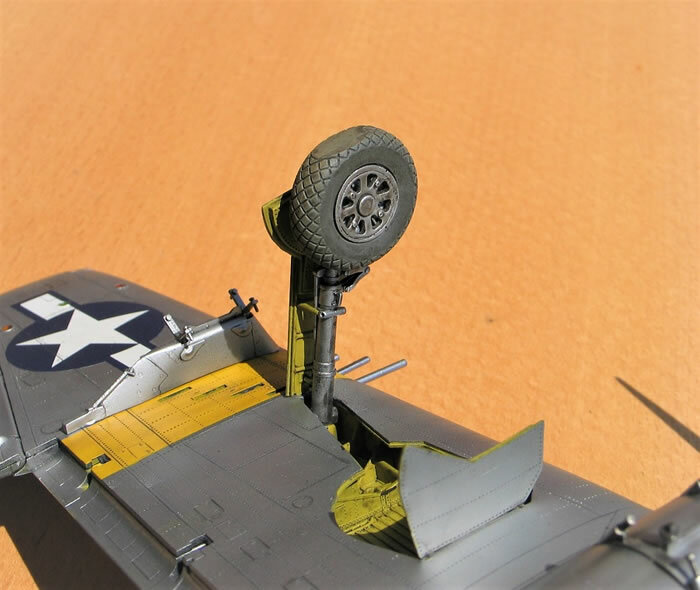 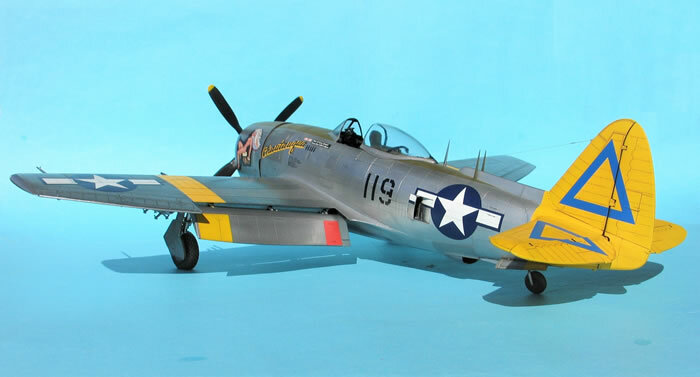 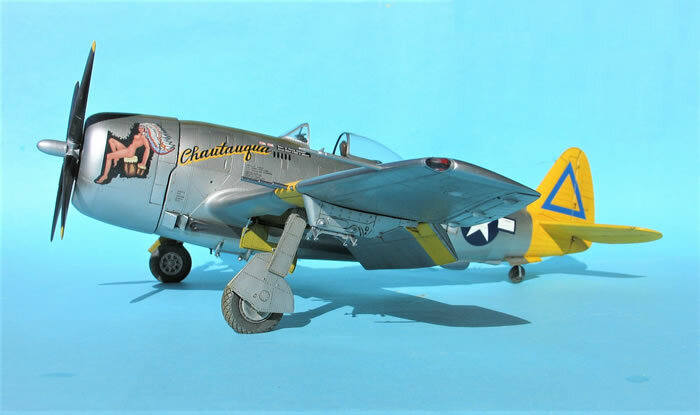 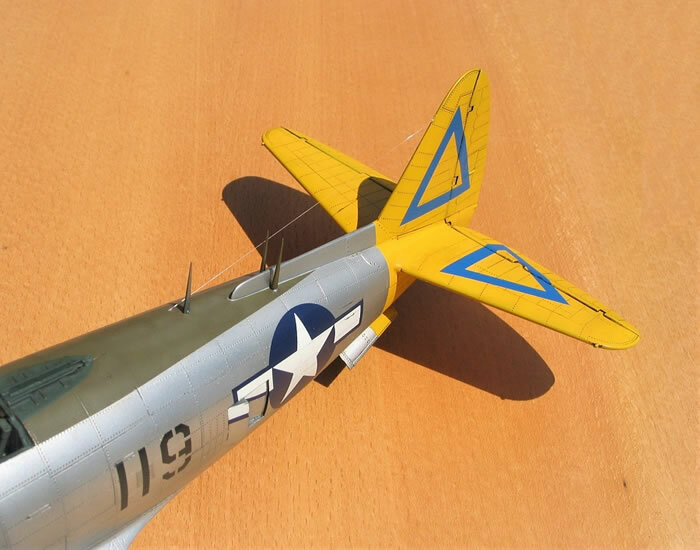 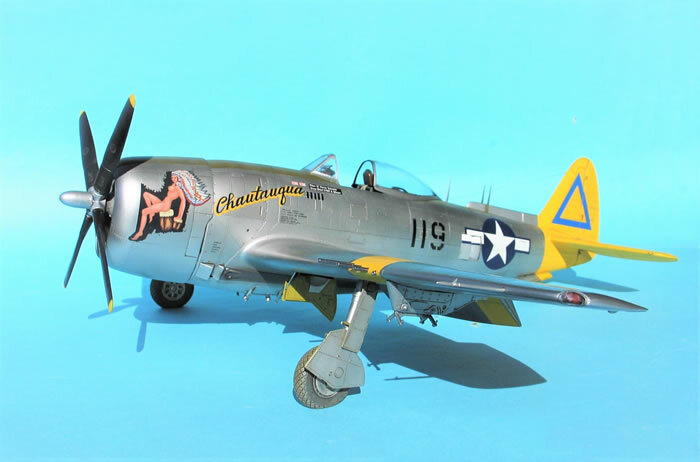 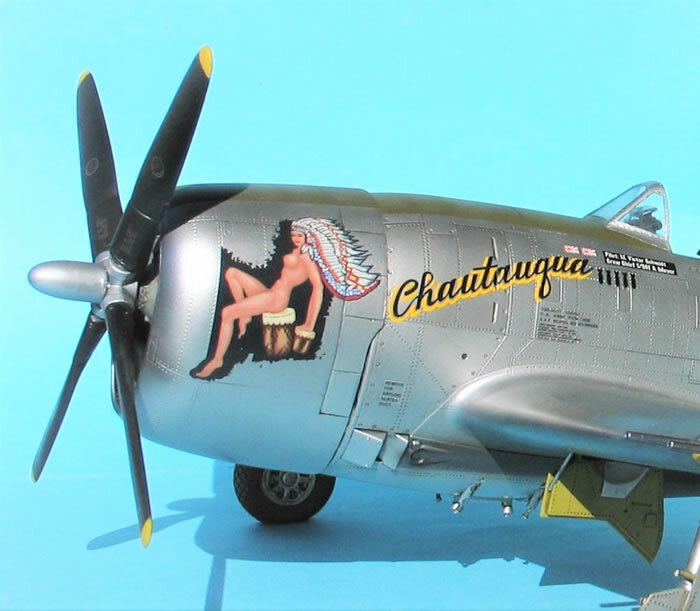 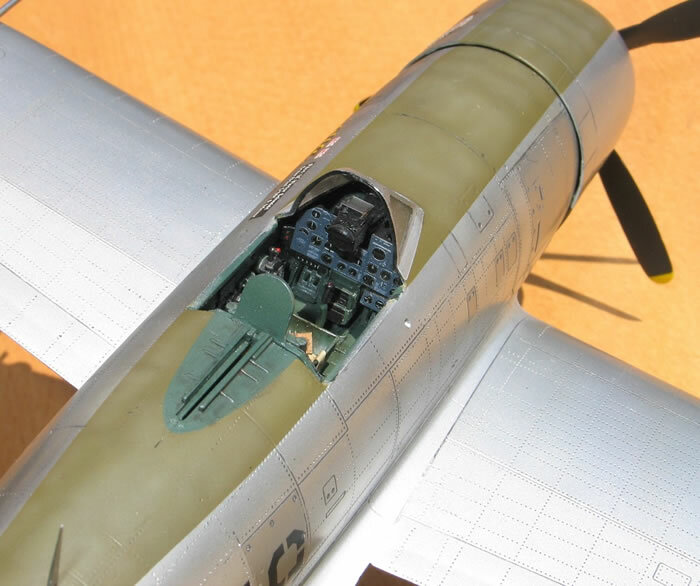 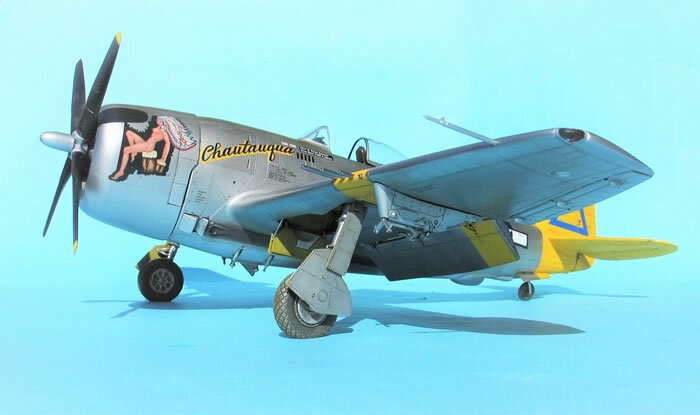 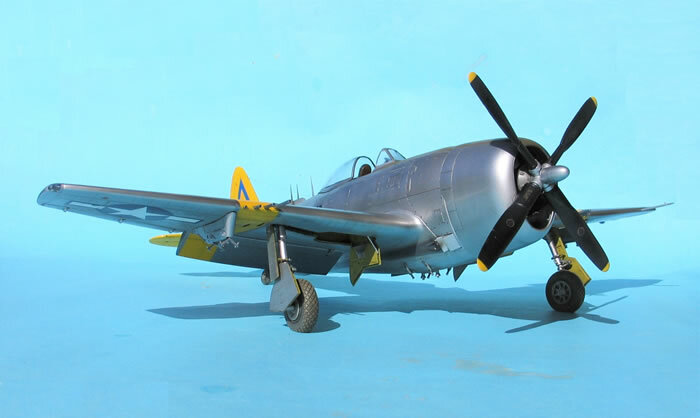 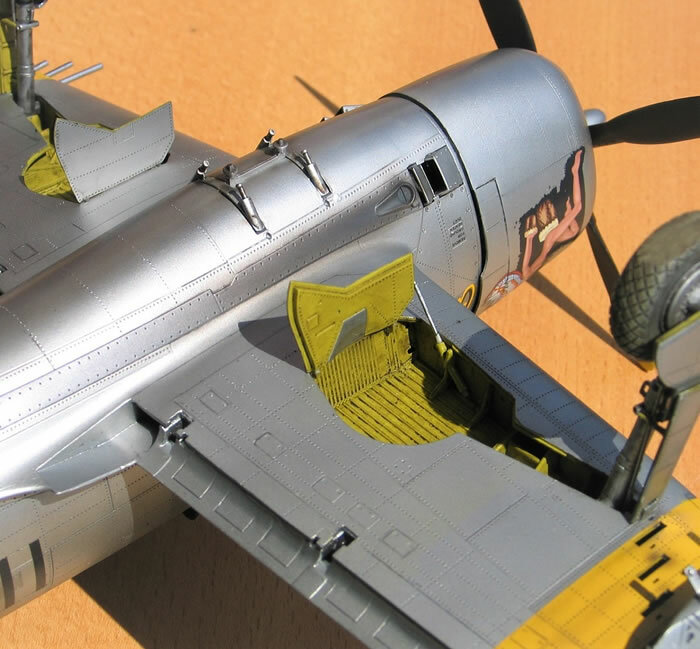 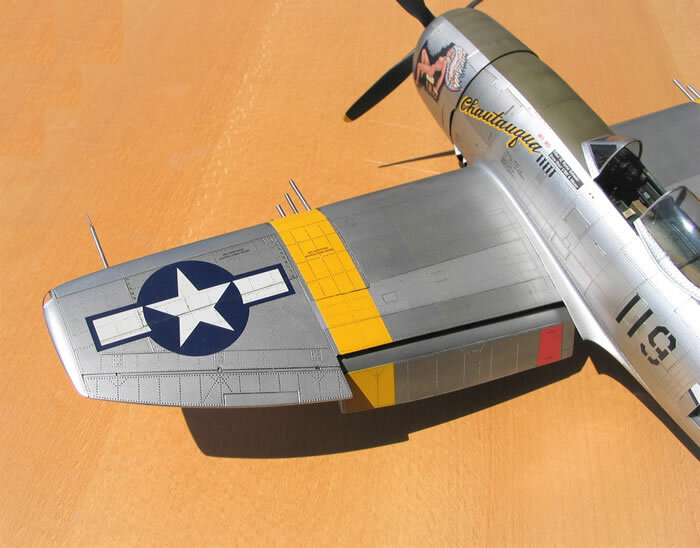 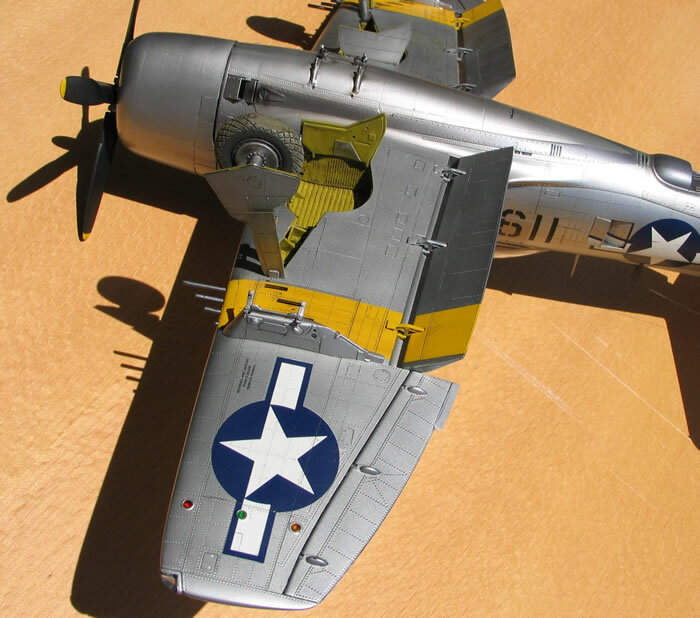 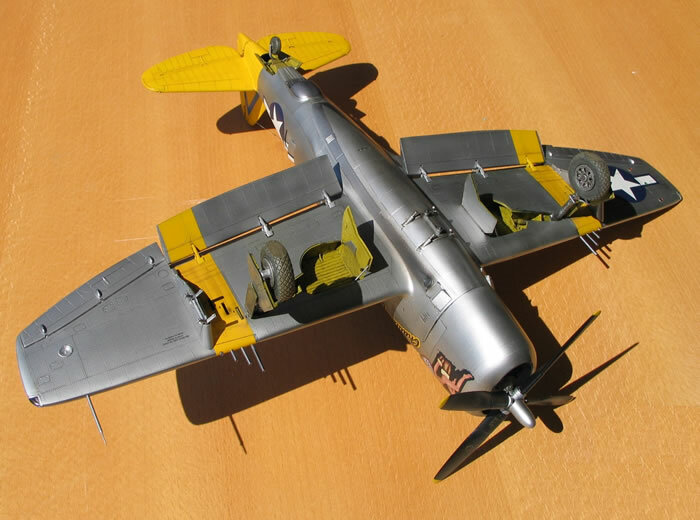 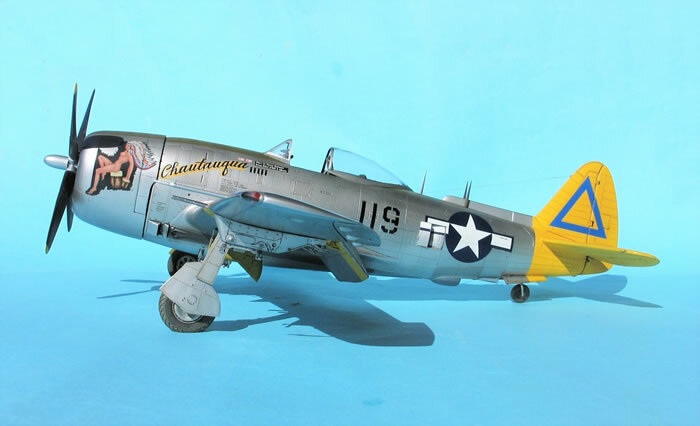 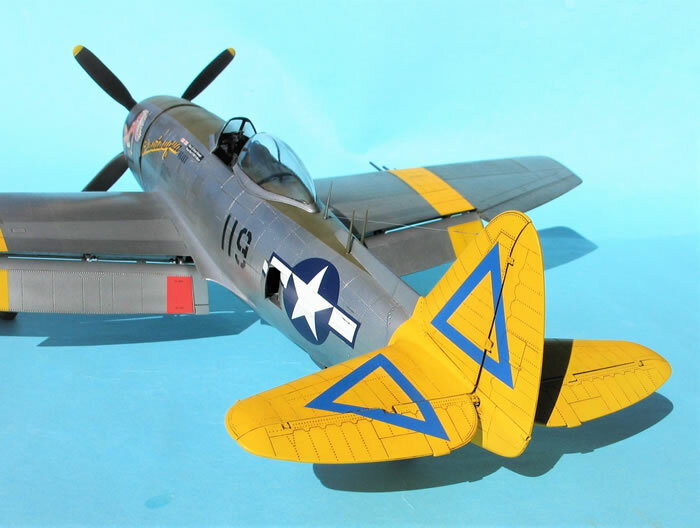 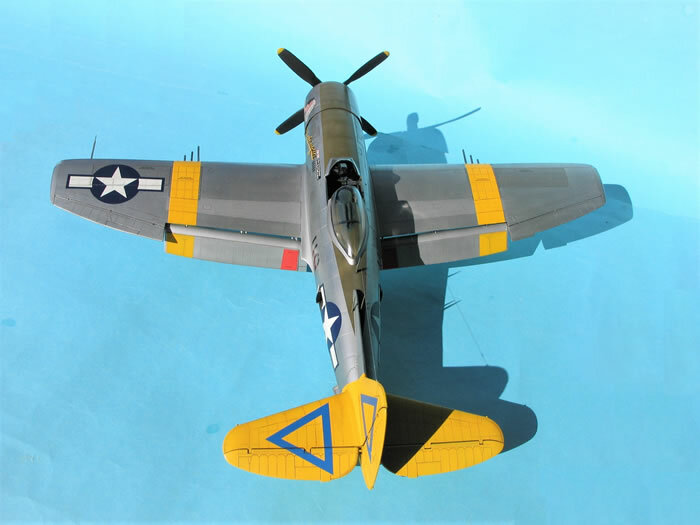 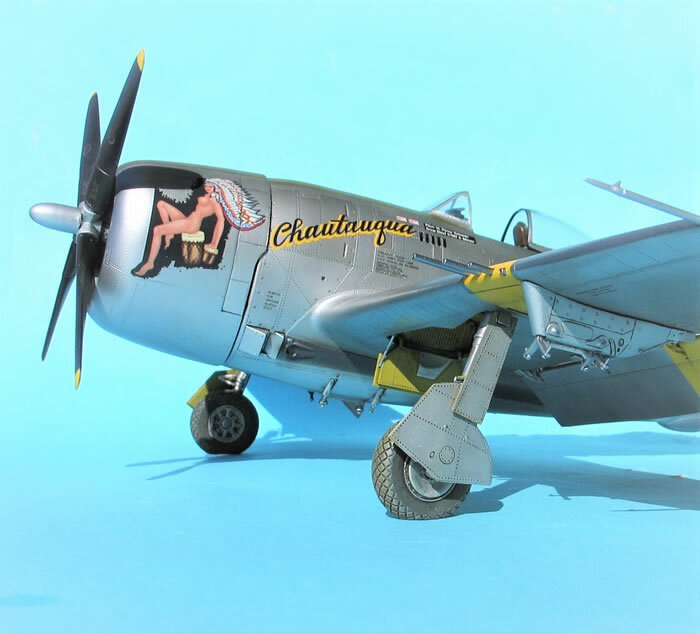 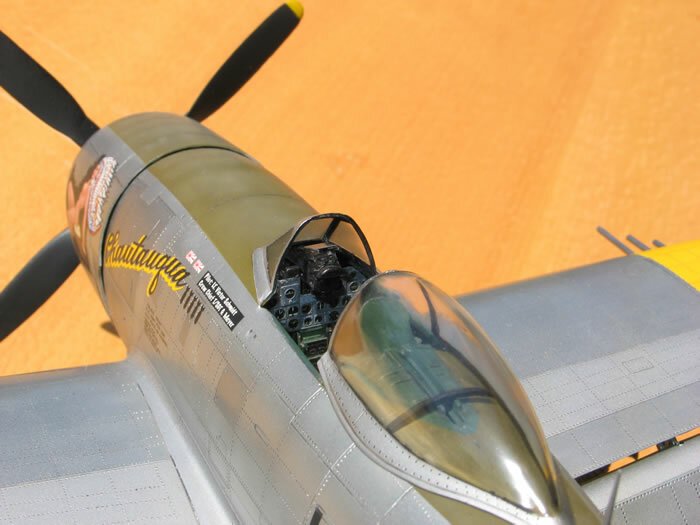 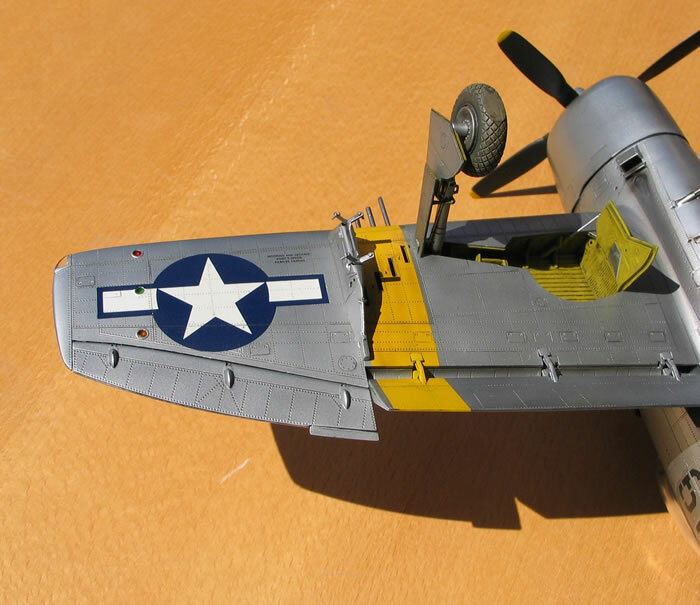 This is my 1/32 Trumpeter P-47N Thunderbolt in the markings of “Chautauqua” flown by Lt. Victor Schmidt from 463td FS 507th FG (20th AF) Ie Shima, April 1945. 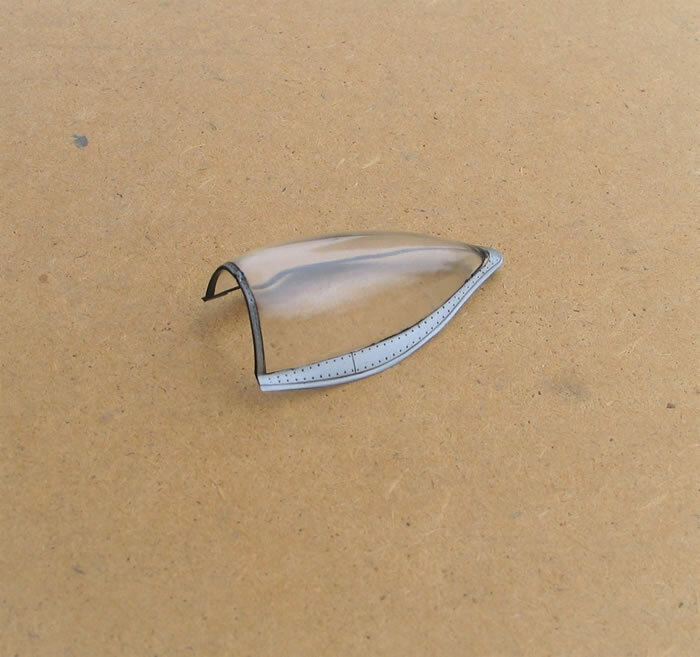 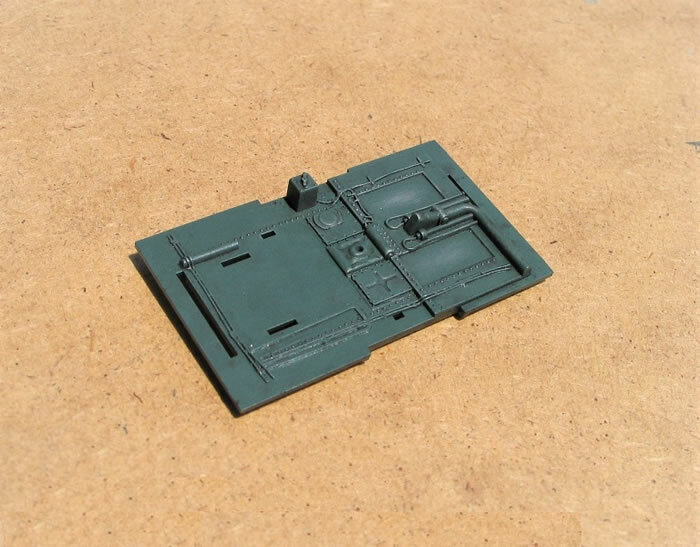 Trumpeter kit’s overall shape is accurate but has some serious inaccuracie and weaknesses. 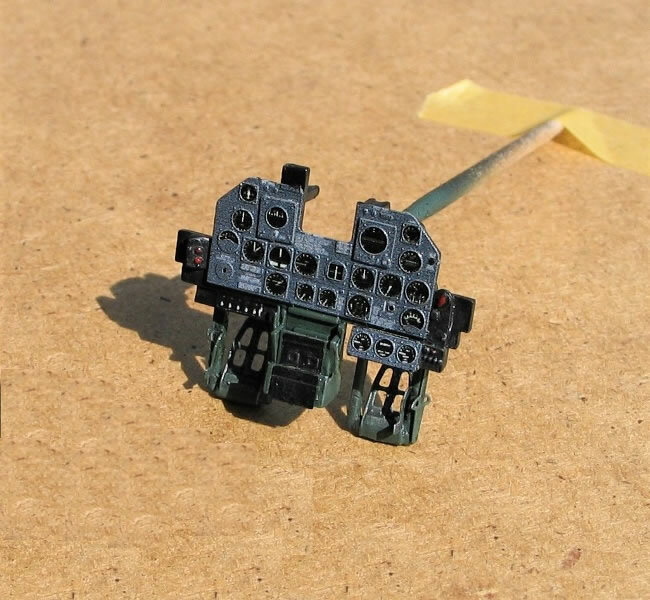 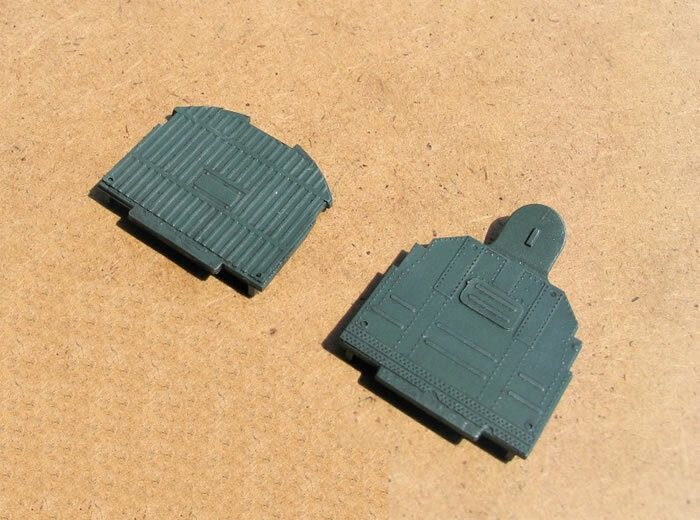 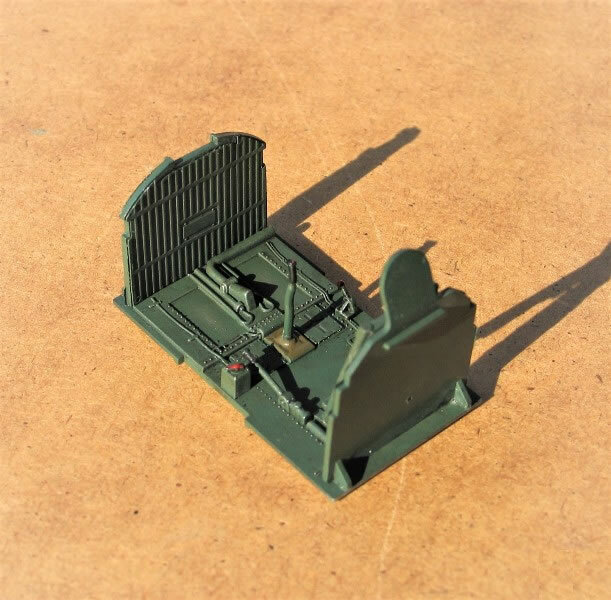 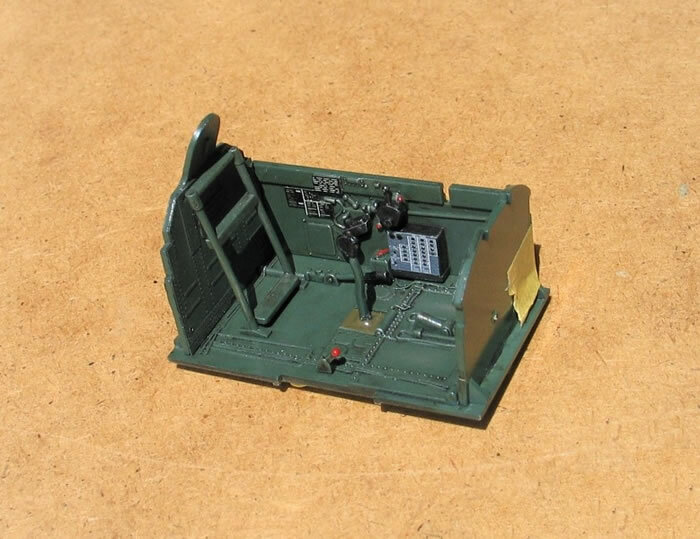 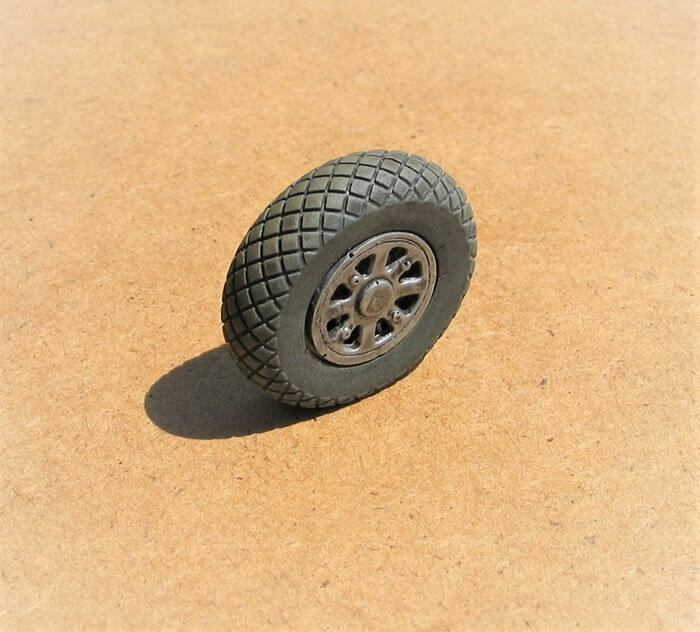 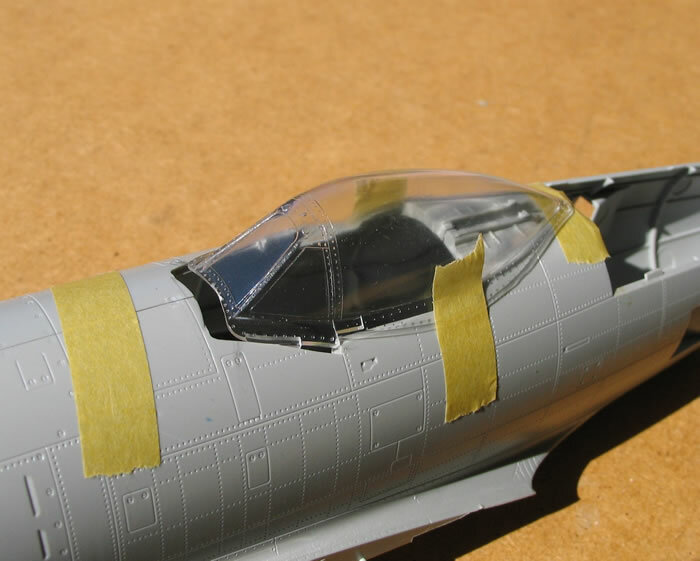 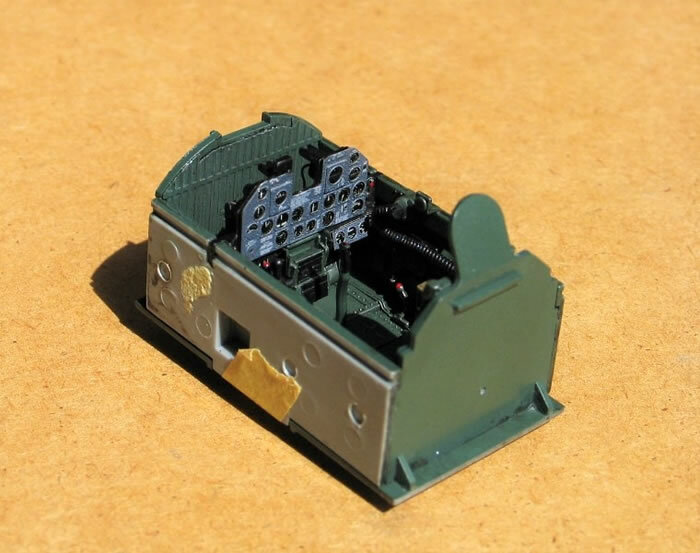 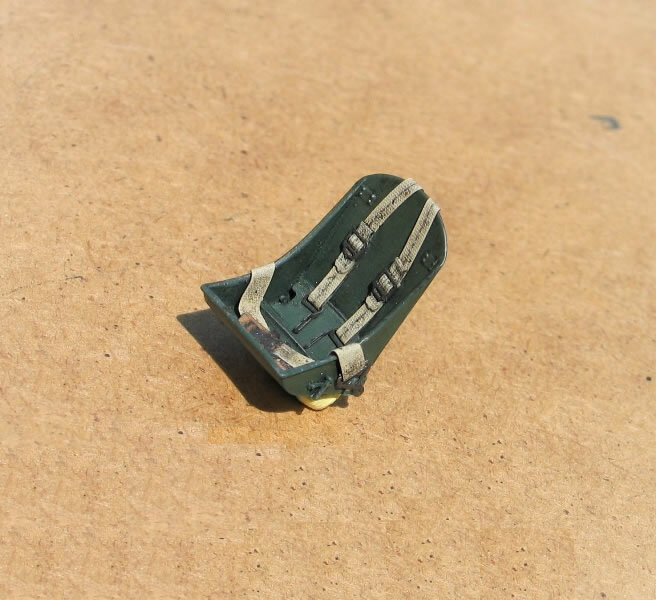 Main problems of the kit are inaccurate cockpit floor, canopy, wheels, wheel wells walls and terrible windscreen. 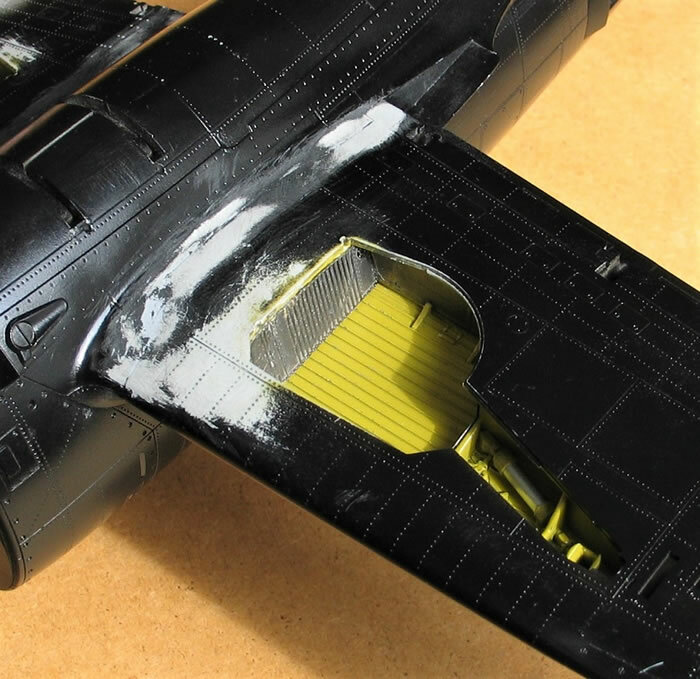 Windscreeen and canopy swapped with Hasegawa spare parts. 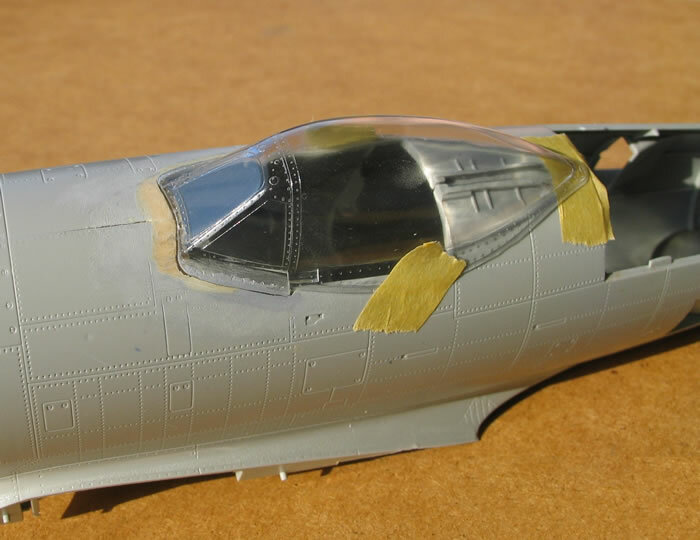 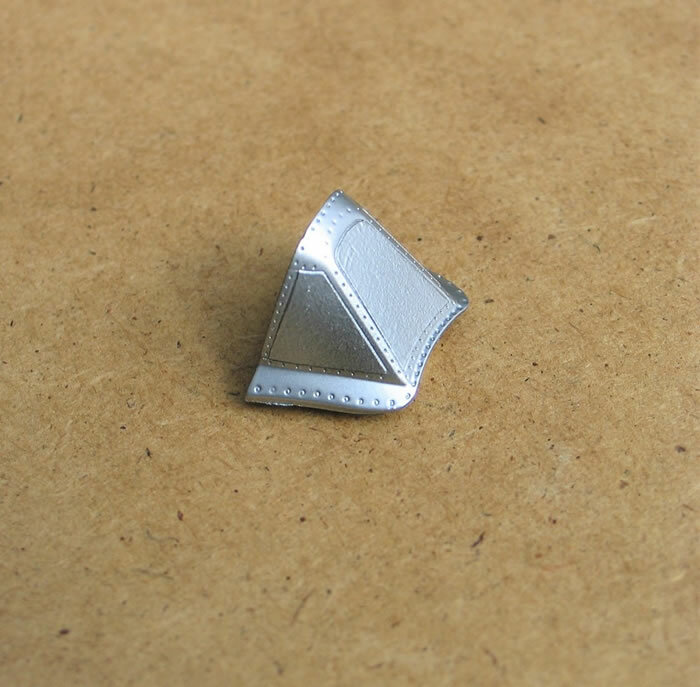 Painting done with Alclad metalizers. 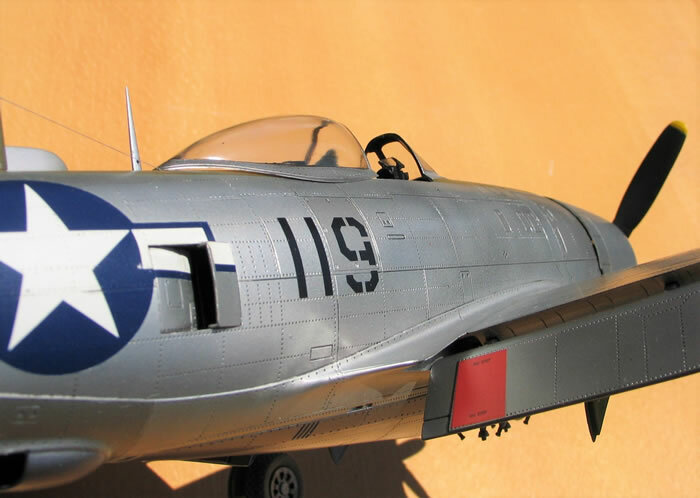 Decals are a mix of Kitsworld and CAM decals sets.